The Client is a world-renowned manufacturer of coding, printing and laser marking products, fluids, and accessories for the product identification industry. Their company has over 325,000 units installed worldwide, serving 135 countries, and is widely considered as the leading expert in continuous ink jet (CIJ), laser marking, thermal ink jet (TIJ), thermal-transfer overprinting (TTO), case coding and labeling, and wide array printing. The Client wanted to cleanse their Asia Pacific list containing more than 10,000 contacts, most of which are obsolete and inaccurate. The campaign was to zero-in on the manufacturing industry, using Customer Profiling for basic information such as name, job title, company, address, phone and email. This also includes segmenting the list according to each contact’s location in the Asia Pacific region. The number of people or machines where a product goes to a process of labeling marking or printing. The Client sent their contact list of more than 10,000 records over to Callbox, along with their Suppression List (do-not-call list). Callbox then submitted these records to its Research Team for them to cross-reference the list with their own database of updated contacts. This was done to to eliminate duplicate entries and supply missing elements with accurate information. Callbox made sure that the list has undergone through pre-cleanup prior to the actual calling campaign to avoid wasting resources. Since the Client’s own list contained dead records, Callbox obtained additional contacts from its own database in order to produce 10,000 profiled records for the Client as agreed. Callbox assigned 10 expert agents for the Customer Profiling campaign. 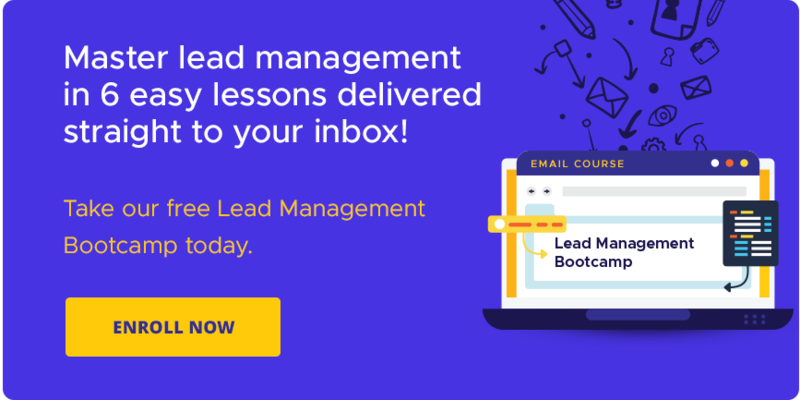 Each batch of completed profiles was forwarded to Callbox’s Email Marketing Team for re-verification, as well as lead generation using a prescribed email template. This email blast was done constantly throughout the campaign on a weekly basis. All contacts which resulted to bounced emails were sent back to the calling team for reconfirmation. The Client required Callbox to provide weekly reports to ascertain the campaign’s positive development. Callbox collects all completed profiles in a single compilation and then submits them to the Client. The Client then uploads these newly cleansed records into their database. Invalid records were returned to Callbox for reverification, until such time that all records are checked for accuracy. The Client was pleased with the efficiency and success by which the Customer Profiling process was carried out. Callbox delivered 10,000 clean and working records within the set period, with only minimal returned data for re-verification. As a result, the Client recommended Callbox to their Global Visibility Manager, which in turn partnered with Callbox for their succeeding campaigns. Fresh from the success of the previous campaign, the Client penned a deal with Callbox for another Customer Profiling engagement. This time, the campaign was focused on cleansing prospect contact lists from India and Korea. The goal was for one full-time agent to produce 700 profiled records, each for both target locations. The target industry was still manufacturing, and data profilers were still required to ask prospects regarding the number of production lines and the manner by which they code their products. Furthermore, at the request of the Client, callers were to determine whether prospects prefer to be contacted via their mobile phones or their landlines. This data is crucial for the Client in deciding whether they need to allot more focus on contacting prospects via mobile phones, in which case would entail more cost on their end. The flow was pretty much the same as the original campaign, except that the Client only required one calling agent for India and another one for Korea. The Client first sent its contact list for India, after which Callbox subjected it to its standard process of pre-cleanup by means of database cross-referencing and email blasting. Two weeks after the campaign started, the Client sent its contact list for Korea. Once both lists have undergone pre-cleanup, the calling campaign commenced, with two full-time agents calling for each target location. Reports were submitted on a weekly basis, and records were revalidated until deemed accurate. Callbox sailed through the campaign with flying colors, delivering 700 clean records for both target locations within a month, despite the uniqueness of the campaign and some initial hurdles. Additionally, Callbox was able to provide useful insight to the Client in terms of the divide between contacting prospects through mobile or landline. Callbox reports showed that prospects were more comfortable in providing their landline numbers over their mobile numbers. This outcome contradicted the findings of the Client’s internal calling team which supposedly revealed that prospects preferred being reached via mobile. For the Client’s third partnership with Callbox, the campaign was centered in India alone, and it came with specific parameters to be strictly observed. The goal was to produce 3,000 profiled records from a 3-seater, 2 month campaign. The Client provided its approved market verticals under the manufacturing industry, as follows: aero/auto, baked goods and cereals, beverage, building materials, cosmetics/personal care, dairy and eggs, extrusion/wire and cable, packaging materials, pharma and medical, and salty snacks. The campaign was a mix of customer profiling and lead generation, with a list of roughly 3,000 contacts provided by the Client. Callers were instructed to reach out to Production Managers, Maintenance Managers and Purchasing/Procurement Managers. In case these positions are unavailable, they were to look for Operation Managers, Facilities Managers and Finance Managers. Data profilers were still required to ask prospects regarding the number of production lines and the manner by which they code their products. The approach prescribed by the Client required Callbox to basically send out marketing material to the prospects. This objective was to be accomplished in conjunction with the usual Customer Profiling task that was done in the previous campaigns. The Client sent its 3,000-contact list for India, after which Callbox subjected it to its standard process of pre-cleanup by means of database cross-referencing and email blasting. Callbox assigned 3 expert agents for the calling campaign, each of them tasked to produce 1,000 profiled contacts. The Client subjected each call to their own quality assurance standards, so Callbox was required to provide recordings for every interaction they had with the prospects. Callbox, in strict observance of various Anti-Spamming laws, requires its agents to made sure that prospects have agreed to receive any form of literature from the Client before sending them out. 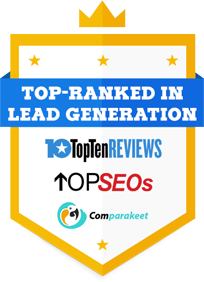 Prospects who have responded positively to calls were subjected to normal lead generation protocol based on their level of interest. Callbox delivered the goods as expected, with the last few weeks spent on formatting the data according to the Client’s preferences. They were also very pleased that a lot of calls resulted to legitimate leads for their business, even though lead generation was not the main priority of the campaign. The India campaign became much more smooth-sailing because of the prior experience in penetrating the location, as well as the improvement in the communication lines. Also, Callbox’s own updated database of records helped fill in the gaps for incomplete or inaccurate contacts. Towards the end of the campaign, the Client set up a Customer Profiling campaign that aimed to clean up around 500 test records from the US. Although this US campaign still revolved around the manufacturing industry, the Client was open to explore other verticals aside from the ones previously prescribed. The campaign was carried out simultaneously with the India campaign that was still in progress. Callbox allotted a few hours a day for its agents to call US contacts. The campaign successfully ended after 5 days, with Callbox delivering 500 profiled contacts as agreed. After three successful customer profiling campaigns, Callbox was able to clean the Client’s contact lists, making them more updated and targeted without any obsolete or duplicate entries. This resulted to a shortened sales cycle on the Client’s part, which is expected make a direct impact on their bottom line. The campaigns also gave them significant money-saving insight into their communication strategy as they were able to establish their prospects’ inclination to being reached via landlines, discarding the need for a costlier alternative in mobile phones. Throughout the customer profiling run, Callbox was also able to generate several warm leads for the Client’s sales team. At the very least, the callers were able to establish an acquaintance with the prospects, especially those with new job titles and are unfamiliar with the Client’s company. The Client has retained Callbox’s services for their current campaigns which involve not only Customer Profiling but other services as well. They were very pleased with how Callbox was able to deliver time after time, and they definitely see Callbox as a partner in more projects down the road.